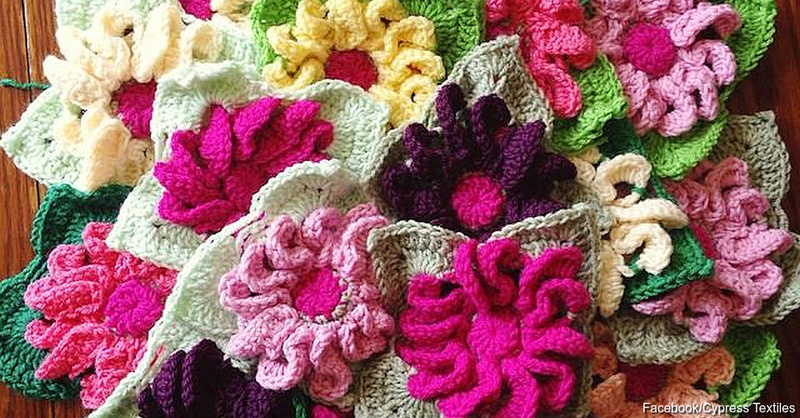 Crochet a bright, garden-themed throw thanks to a gerbera daisy flower design that incorporates nine different flower colors using the magic ring crochet technique. The flower petals join together invisibly so the throw goes from one flower to the next without any visible stitching. The pattern works great as a decorative throw over furniture, at the end of a bed or for covering up on those chilly nights sitting on the front porch. Make this throw as large or as small as you want depending on the number of flowers you want in it. You must know how to make a magic ring, chain stitch, slip stitch and single crochet stitch. Flowers are joined together through the petals. A heavier yarn, and larger crochet needles, make larger flowers. Start a single flower in the center with a loop made from an overhand knot and then a single stitch. Work more stitches around the tail of the overhand knot’s loop until you get the right size you want. The more stitches you have, the wider the middle of the flower. Pull the tail through the stitches to tighten the construction, and then you have the middle of the flower in one color. Add a chain or two around the outside to create different colors. After you make the middle, it’s time to go to the petals. Create the petals as long or as short as you want. Longer petals mean more of a gap between flowers. Start on the edge of the center, make a chain of eight, and then turn and stitch a single crochet. Follow that with a half-double crochet, four double crochet, another half-double crochet and a single crochet before performing a slip stitch behind the middle. Continue around the middle until you have as many petals as you want. Join petals together with a slip stitch for a seamless look. Your finished throw is as colorful as you want it to be based on whatever color patterns you choose.Create a patterned look with evenly spaced daisies, or just randomly pick colors that go into the throw. Learn how to crochet some of your other favorite flowers with this video tutorial.